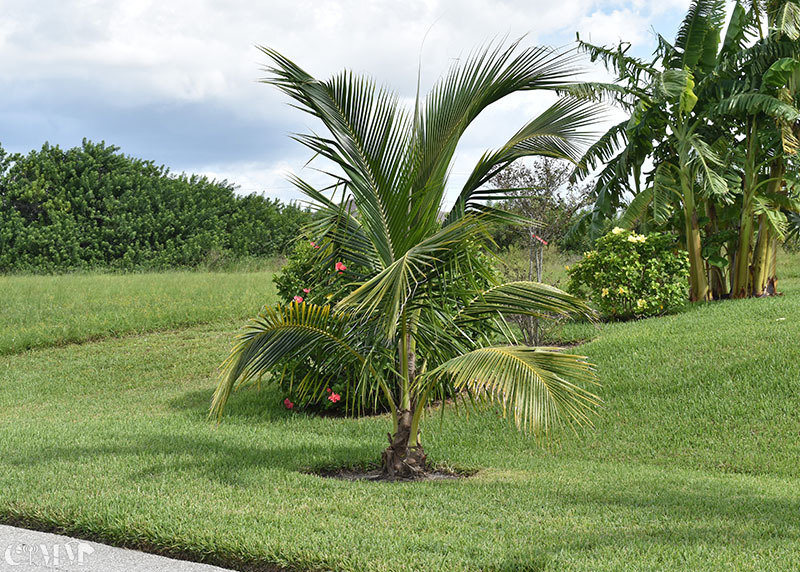 You can use an "Dwarf Sugar Palm" almost as you would a large, wide spreading shrub yet one with a decidedly tropical look. Long, large-leafed fronds with silvery undersides contrast well with the textures and colors of other plantings. Or as an understory plant in a garden shaded by trees or taller palms, an Sugar Palm tends to spread less and makes an outstanding stand alone specimen. Dwarf Sugar Palm is a small palm tree that doesn’t grow more than 20 ft tall and more than 6 inch diameter. It can spread up to 16ft. The stems are covered with delicate black fibers. Dwarf Sugar Palm has long graceful triangular fishtail-shaped leaves up to 8 feet long. The dark olive-green leaves often twist gracefully, giving them a slight spiraling appearance. Leaflets from the middle of each stem, and are dark-green to olive on their topside, and silvery beneath. The 5-8 in long leaflets have an unusual and distinctive V cross section and grow abundantly in a single plane off the stems. Dwarf Sugar Palm produce red to deep purple fruits. Each globular fruit is less than 1 in (2.5 cm) in diameter and contains one to three seeds. Dwarf Sugar Palm likes moist soil and not very good at tolerating drought. It prefers partial shade to full sun. Dwarf Sugar Palm is hardy and can tolerate cold up to 25F for a short period of time after establishing.